It's an interesting time to live in. MMA champions in Pro Wrestling, Pro Wrestling champions in MMA. To the fans' delight, crossovers are happening all over the place. So let the following statement sink in. Former UFC fighters and current Pro Wrestling stars in one ring! Yes, that is indeed the case with Josh Barnett's Bloodsport. A part of "The Collective", spearheaded by Game Changer Wrestling (GCW) and containing other gems like this one. So - what is Josh Barnett's Bloodsport you ask? To start things off (and if Matt Riddle's Bloodsport from 2018 is anything to go by), it's a semi-shoot catch wrestling competition between MMA and Pro Wrestling stars in a classical ring, filled with lots of holds, stretches and brutality - much to the fans' enjoyment. To make this deal even sweeter - this time around we have some top-tier UFC legends - The man himself, Josh Barnett, Frank Mir, Dan Severn, Tom Lawlor! Brings you back to the good old days of MMA, doesn't it? The event will also feature Pro Wrestling stars like Killer Kross, Jonathan Gresham, Timothy Thatcher … And if that's not enough for you, you'll also see the great Minoru Suzuki and the awesome Davey Boy Smith Jr.! It feels like yesterday to me - the earlier days of MMA. Maybe because I was a kid but the memories are quite vivid. And in these same memories, Josh Barnett is beating giants like Sammy Schilt and champions like Randy Couture. Frank Mir is winning his UFC Heavyweight title from Tim Sylvia with a brutal armbar; he's having his all-star fights with Big Nog and Mirko CroCop. Dan Severn is making history winning UFC 5, showing what true competitive nature looks like in his fights with future legends like Royce Gracie, Ken Shamrock and Mark Coleman. And speaking of Dan Severn, who can forget Tom Lawlor walking out as Severn during UFC's weigh-ins? 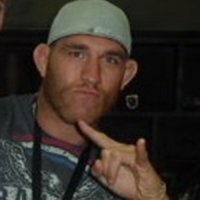 Who can forget Tom Lawlor's walkouts and competitive nature in general? Easily one of the most entertaining fighters during his time in UFC. And let's not forget the great Minoru Suzuki. His classics in Pancrase against Ken Shamrock, Bas Rutten and other legends of the early days of freestyle fighting will be forever remembered by fight fans across the world. An individual look at these legends would be appropriate here. The Beast! 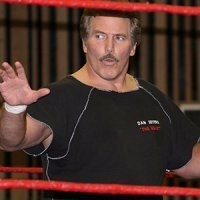 Dan Severn is one of my all-time favorites. He puts on display just how powerful wrestling is in a fight. Inside the cage he is as fearsome as he is classy outside of it. A true class act, he embodies the mixture of MMA and Pro Wrestling. A former UFC tournament winner, a former NWA World Champion, an icon in both sports! Who can forget that strong visual of him and Jim Cornette, walking out with all those belts? Bloodsport is taylor-made for someone like Dan Severn! A true competitor and a very exciting personality, Tom Lawlor is someone FITE fans know all too well. In recent years he's made the transition from a great MMA career to a great Pro Wrestling career that's about to become even greater. Tom is a main-stay here on FITE as viewers are able to watch him on MLW's weekly programming each and every Tuesday. His presence is intense, his delivery is one of a kind and it's no wonder he's MLW's current champion, taking the title off of legend Low Ki earlier this year. Along with Dan Severn, Tom has appeared on Matt Riddle's Bloodsport in 2018 where he faced off against WALTER. Lawlor's MMA experience and Pro Wrestling prowess will lead him well into this year's Bloodsport! 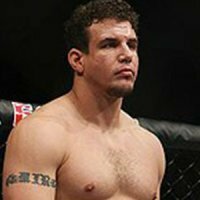 An MMA and submission grappling legend, Frank Mir really needs no introduction. The man, who tapped out the submission masters, the former UFC Heavyweight Champion and also the man who managed to put the first loss on Brock Lesnar's MMA record. He's fought Pro Wrestlers before … and he most certainly has fought MMA fighters before. When it comes to this type of competition, Frank Mir is more than prepared to take on any challenger and win. A catch wrestling competition with top level talent is just the place for someone like him to show the world he's still on top of his game. We cannot talk about the MMA competitors in Bloodsport without going into the career of the one and only Josh Barnett. Throughout his storied career he has done MMA, Submission fighting, Pro Wrestling, Freestyle fighting and all other sorts of combat sports to boot. He's been successful in all of them so it's no surprise that Bloodsport gets the name from Josh Barnett. Just a small look back into his accomplishments - former UFC Heavyweight Champion; 2003 King of Pancrase; BJJ and Grappling Champion; Top contender for PRIDE, Strikeforce, DREAM and many others; A true mainstay on the Japanese Pro Wrestling scene and most notably NJPW. The Win column in his record has names like Frank Mir, Andrei Arlovski, Mark Hunt, Roy Nelson and many others. 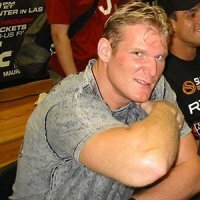 What really makes Josh Barnett a true patron of Bloodsport though is his deep understanding of both the fight game and the Pro Wrestling business. His persona is very interesting, his psychology when it comes to entertainment is unmatched in the Heavyweight division, he has a presence that very few people in the business have. Reflected in his nicknames, they've ranged from The Babyfaced Assassin to The Warmaster. He has the ability to make everything look exciting. Very few professional fighters have the depth of knowledge in Pro Wrestling to create a successful career in both worlds. Josh knows how to work the crowd, he knows how to mix his work and shoot when he has to in order to make everything he does believable. You believe this man's a badass, you believe he can hurt anyone that goes against him, you believe that he's rough and tough to a point where he can take on anyone at any time and any place. He gives off this vibe of true intensity that is felt and reflected even in his slightest mannerisms. 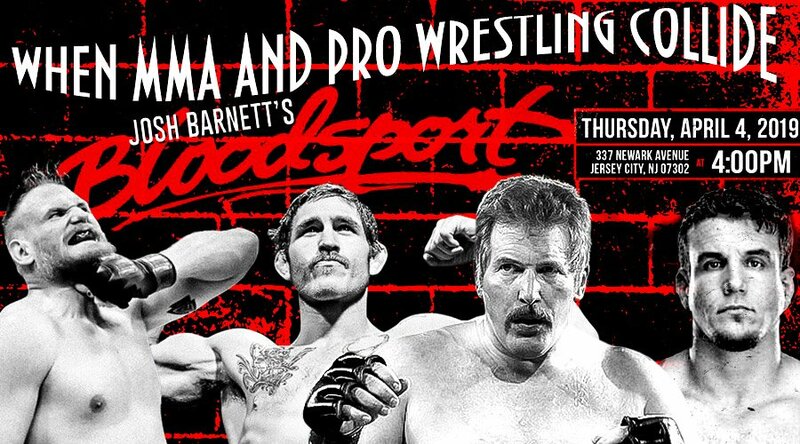 It's all of that combined with his traditional catch wrestling background that makes Josh Barnett the perfect fit to lead Bloodsport and to be the face of the event. One of my favorite events of 2018 was Matt Riddle's Bloodsport. It featured a lot of the stars that we're currently talking about - Dan Seven, Tom Lawlor, Timothy Thatcher … And it was a great event. A throwback to classical catch wrestling, to the very early days of Pro Wrestling as well. To the days where people believed that what was happening in front of their eyes was a shoot. From stiff shots to intense and hard submissions - this event had it all. However it had that modern spin on it as well. It had some of the most interesting young faces on the scene, giving their modern and unique presentation on stage. Working loosely with the crowd, sporting that alluring feeling of improv that the indie wrestling scene has and is so missed in mainstream products. The clash in the ring was not only that of two competitors but also that of two completely opposite styles of work. And to a lot of people's delight - they mashed perfectly! Looking at this year to Josh Barnett's Bloodsport I can only expect things to get even bigger, even better! Along with the returning competitors, we get to see true legends of shoot fighting and submission grappling! People whose body of work is the perfect representation of what Bloodsport wants the fans to see. I'm really excited to watch this and currently it's one of my top picks for the outstanding lineup that GCW and company have in store with The Collective. Be sure to tune in on FITE and see how everything will unfold! You can get Josh Barnett's Bloodsport as part of "The Collective" bundle on FITE and gain access to all of the shows that they have in store!